Just days after his tweets asking Prime Minister Narendra Modi to apologise for visiting his Pakistani counterpart Nawaz Sharif in Lahore, Kashyap took to Facebook to clarify his tweets. 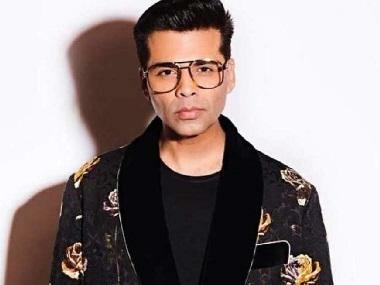 Kashyap made the remarks as Indian filmmakers like Karan Johar are being penalised for casting Pakistani artistes in their films, against the backdrop of the current escalating bilateral tensions. Predictably, the tweets got Kashyap a lot of backlash from trolls on social media, although the filmmaker staunchly defended his right to ask questions of his country's elected head. There were also several who thought that Kashyap had actually raised a valid point — and that filmmakers shouldn't have to bear the brunt today for actions they had taken back when relations between India and Pakistan had thawed. "I am tired of the film industry being soft targets. We are damned if we do, damned if we don’t! When we don’t involve ourselves, they ask, 'Why is Bollywood quiet now?'. When we involve ourselves, we become scapegoats to distract you from the real news. Either way (we are used) to sensationalise news." 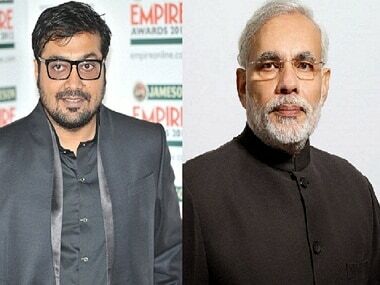 "NO, Anurag Kashyap did not 'ask the PM to apologise' (which most of the headlines would want you to believe), I merely questioned the fairness of a situation: the PM visited Pakistan for talks at the same time that a filmmaker was working with a Pakistani actor. Neither was aware of future events or mood. Yet only one pays the price." "I’m well aware that the government did not cry 'BAN' or demand that Pakistani artistes be sent back. Just as I’m aware that the PM himself doesn’t censor my films. But we elected them and so it is their responsibility to protect us from bullies — media or political parties. And when the governing party's designated members don't respond in hours of crisis because they are second guessing the mood of the PM, then I would rather talk straight to the PM himself."